On December 2, 2018, Mormon Bishop and podcaster Bill Reel was excommunicated from the Mormon church for apostasy. In this Mormon Stories Podcast episode we speak with Bill about the disciplinary council. We will play the recording of his disciplinary council defense, and allow Bill to offer a play-by-play commentary. We will conclude by discussing Bill’s reactions to the verdict, and talk about what comes next for Bill and Mormon Discussions. Hat tip to Miles Germer for editing the disciplinary council audio. Why did Bill spent an hour at his disciplinary meeting to basically deliver a mini CES Letter? What was the point? I get the impression that Bill wanted to try to make an impact on those in the room rather than just defend the accuracy of his statements. In the post-LDS speech he gave in the parking lot, he seemed to think that he made an impact and touched hearts. He explains why in the podcast. He wanted to show that he had arrived to his conclusion of the church through factual evidences and that the members of the council were potentially going to excommunicate a man who obtained and shared truth – someone of innocent nature. Bill explains why during his coversation with John. Why bother listening to these podcasts if you’re not going to pay attention? Thanks for sharing the audio of Bill’ excommunication. Both John and Bill have been invaluable in my faith journey for over ten years now. It may seem weird but I feel like I know both of you on a deep level because you have shared your heart and mind through your podcasts/experiences. I’m looking for the transcript of the disciplinary council but I cannot seem to find it anywhere. Can you help me with a link or something? If you know church dogma is fabricated non-sense and J Smith etc. was just a con man, why go through all this? When I learned it’s monkey business it rendered the whole church irrelevant. Sure, it made me angry, but by showing up and going through excommunication (night court) it seems like you are reinforcing the idea that the church has power and control over you. The court jesters are going to walk out feeling like they did the right thing. It’s not going to change anything on the inside workings of LDS Inc. I would have liked Bill Reel not to have attended a summons from the psychopathic Mormon corporation. That being said, I found his presentation noteworthy, and respect that this is what he needed to do for himself to clean house, and have no regrets. I was impressed with Jeremy Runnels attending his “Mormon Court of Love,” listening to the case against him, and leaving immediately without engaging in any response. I was even more impressed with Dr. Gina Colvin refusing to even open the disciplinary letter sent to her. My fantasy is that with the psychopathy of this corporation now so public, any Mormon from here on in who receives a disciplinary letter will follow Dr. Colvin’s lead. I think you misunderstand… Bill Reel and others that are being excommunicated are making these things public which will most certainly have an impact on members of the church. That effect trickles up. Sure, showing up today isn’t going to change the way the LDS church operates but overtime, it most certainly can. I think we’ve all seen it in the church’s history. It is not the actual disciplinary council itself, not open to the public, or the members forming a disciplinary council, that inform the public. 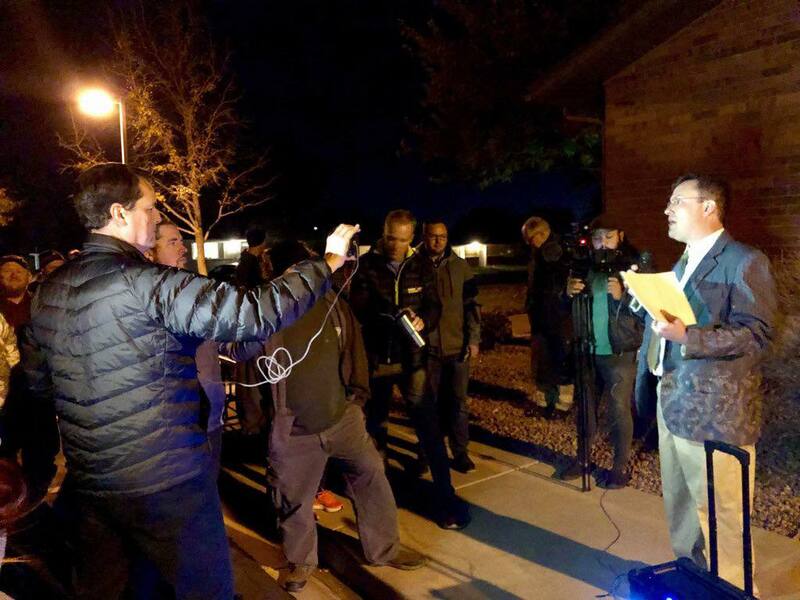 It is a member speaking out publicly about the receipt of a call from the Mormon Church to attend a council, the member speaking out publicly about the crimes they are accused of – and their responses to them – and the member speaking out publicly about the subsequent judgement that is delivered to them. A member does not have to bow in submission to men representing a psychopathic corporation to inform the public. Because the top 15 never really invest the time needed to understand all the skeletons in the various closests, there is no way they can know what they want. Their only measurement is the amount of tithing coming in. Searched for Ronald Pullman and found no videos at all much less side by side comparison ones from 1984. Can you clarify what Bill said so we can look at the talks he referenced from 1984? Here ‘s the side by side Ronald Poelman’s video in 1984 that Jason S. requested — there are other video’s — but this is the side by side comparison that was done pretty well. I love Bishop Bill Reel’s soothing voice, especially coupled with his poignant (and not so soothing–at least to the authorities) message. I don’t understand why Bill seems to be so upset about being excommunicated. He is evidently very anti- the church, so he surely wouldn’t want to be a member of such a corrupt and dishonest organisation. He has willingly and knowingly been going down a path that would lead to such a result – in fact he appears to have been deliberately provoking it – and he was spectacularly well prepared for the council, so he wasn’t surprised. Also he could have shown his disdain for the church and the process by simply not turning up, so he had the same option as other people to opt out of the council and just accept the inevitable, and apparently desired, verdict. So I’m not sure what his point is. Is it a theatrical attempt to use the church’s own process to bring attention to the wrongs of the church leaders, the horrors of history and the degradation of the church’s disciplinary process? These are serious questions. I understand the disillusionment of finding out some of the things we all wish were never there to be found out, but where is he coming from? I don’t get it. BTW, I’ve only listened to the first session. Maybe I’ll find more answers in subsequent ones. Loved bills presentation and his commentary. It would be epic for all of us who agree to go out in a similar fashion. Changes won’t happen immediately, but they will happen in time as they always do – so bills disciplinary council is valid and worthwhile. The truth matters. And the church can’t continue to hide from it. Your conversations are very interesting, I’ve been looking for all information I can find about Mormons, because I have a large heavy box of old letters, documents and bibles and photos that my uncle had, he was a high priest of this church, my family had no idea, till he passed away, he originally lived in Illinois, that’s where his family is from, these items are dated and very old, I made a FB post and one of my FB friends started asking me questions about them, she reached out to someone in her church and now the church is wanting them. I want to know why my uncle kept such important things hidden away, and why, I know what old items look like, I am an advisor for a museum, they call on me to identify documents, photos and many other items, so I’m extremely curious. The link above the video podcasts that shows the tape is not the page where Joseph Smith writes about his vision.